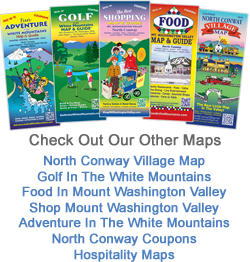 North Conway Village shopping, dining, and lodging will greet you after a great day at North Conway, NH’s many fun, family attractions. All are located within a 5 minute walk or 60 minute drive from the center of North Conway Village in the heart of the White Mountains of New Hampshire. 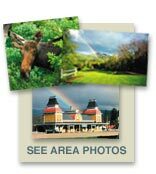 From White Mountain art galleries, New England made craft shops, cross country ski trails, mountain biking, hiking, etc. you can access it all in this quintessential New England village. There are nearly a dozen world class ski areas and attractions like Attitash, Sunday River, Wildcat, Cranmore, Storyland and the Conway Scenic Railroad as well as the best swimming and fishing holes in the North Country. And don’t forget to shop at the more than 200 factory outlets that call North Conway home.